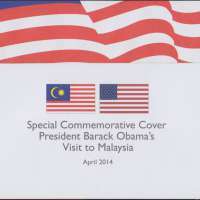 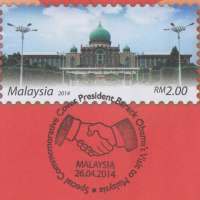 In conjunction with United States of America's President Barack Obama's visit to Malaysia on 26 April 2014, Pos Malaysia issuee a limited special commemorative cover which was on launched on 26 April 2014, but only available for sale on 28 April 2014. 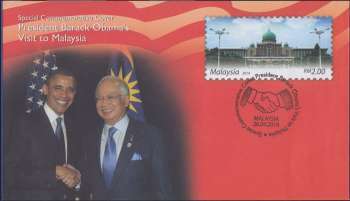 A total of 25,000 special commemorative covers bearing the picture of Obama shaking hands with Prime Minister Datuk Seri Najib Tun Razak, were sold to the public at RM2.50 each at Pos Malaysia outlets nationwide. 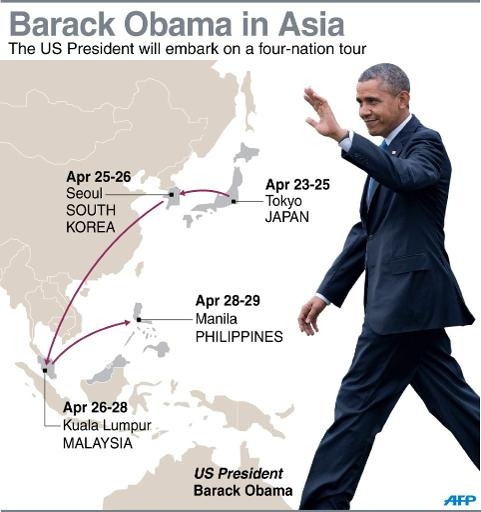 President Barack Obama on Saturday opened the first visit by a U.S. president in nearly half a century to Malaysia, the third stop on Obama's weeklong goodwill trip through Asia.